This is my steampunk version of Dorothy, Toto and her friends on the way to the Emerald planet of Oz! 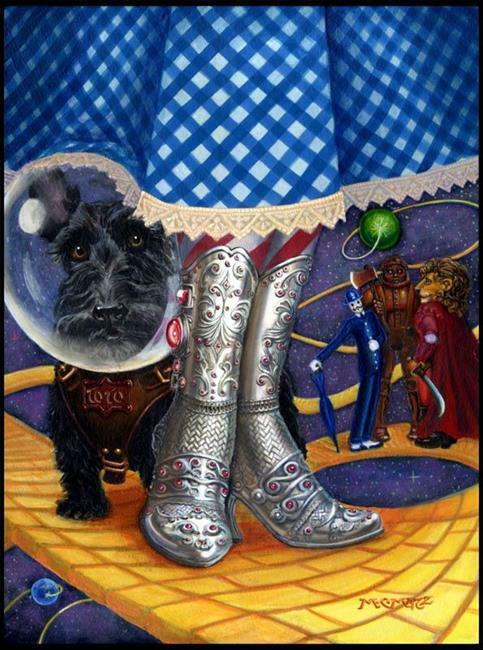 I couldn't resist designing a pair of silver boots with rubies (in the book the slippers were silver and I put the rubies on as a nod to the ruby slippers in the MGM film) and putting Toto in a space helmet. The Tin Woodsman is a copper and brass lumberjack, the Scarecrow an Edwardian mannequin from a haberdashery and the Lion, a king from a fairy tale.